Do You Own a House in Kansas City That You’d Like to Sell? Before you commit to listing with an agent, let us provide you with a no-obligation, no-hassle offer! 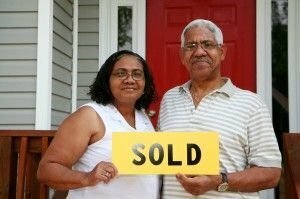 For 20 years we have helped homeowners by purchasing a property that was causing them stress. You Can Learn More About How We Do It Here⇒. From start to finish, we keep everything simple and stress-free. We are very open about how we work and will gladly answer your questions at any time. If you have considered selling a house in or around Kansas City, we want to talk to you! You don’t have to feel stuck with an old, run-down property. If you have ever considered your house unsellable, think again! We understand that every property is unique, and listing may not be the best choice for everyone. We can help you with just about any situation and any property! Living in a home in need of major repairs? Playing landlord to a run-down house, but you haven’t been able to sell it? Do you need to sell a home with zero equity? Do you want to avoid dealing with the cost, time and energy that goes into listing? No matter what you are dealing with, we are ready to help! Give us a call! (855)-291-5005! Sell Your Kansas City House The Fast and Easy Way! We are buying homes throughout the Missouri and would LOVE to make you an offer on your Kansas City home! You have options when you are ready to sell. You don’t have to agree to a lengthy listing agreement. You can avoid fees, commissions and waiting months to find a buyer. A direct sale will put you in control. We will work together to determine a fair sale price. You will decide whether or not to sell, and you will also be in charge of choosing when we close. It is all up to you! Plus, when you sell directly to The Sierra Group LLC, you won’t have to worry about cleaning, making repairs or staging the home for an open house. We buy as is. You don’t need to clean or repair a thing. Our goal is to make the process extremely beneficial for you. We will offer you the best price possible, and help to facilitate a smooth and easy transition. We are purchasing homes in Kansas City and throughout many other areas of Missouri. If you are ready to sell your home now, submit your information above, and we will be in touch within 24 hours! We want to make you a no-hassle, no-obligation offer on your Kansas City house!